What is a Winnebago ADVENTURER? Adventurer, Winnebago RV: The Adventurer® brings a true luxury motorhome experience to the Class A gas market. 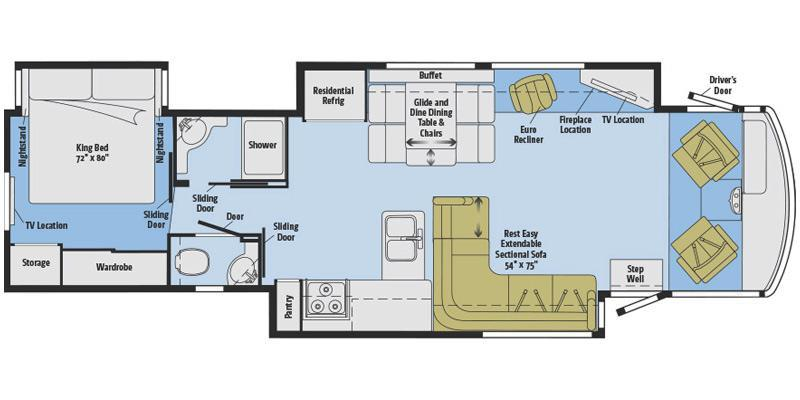 Three floorplans, ranging from 35 to 38 feet, are loaded with amenities and smart features that make life on the road more enjoyable, such as Corian® countertops, MCD solar/blackout roller shades, and TrueAir® maximum comfort air conditioning. The exterior is also a feast for the eyes with multiple full-body paint selections, stylized aluminum wheels and chrome accents. Each floorplan has expansive storage—both inside and out—and three slideouts to expand your living space. Make your move to the head of the class in a new Adventurer. In excellant condition. Six new tires, duel control Queen size sleep number bed, 2 flat screen tv's, washer dryer, Microwave convection oven, 4 door refrig with ice maker, outside window covers, Workhorse chasis with 8 cylinder GM Vortec gas engine, surround sound and VHF/DVD stereo player. 37 ft long motor home in Excellent condition 8.1 litre gas, workhorse custom chassis. Only 31,296miles,non-smoking, 3 slides, ONAN Generator. Sleeps 6. Dual sofa/recliner converts to bed, Dinette converts to bed. Queen size bed located in rear in spacious bedroom with seated table, tv, washer/dryer hook-up, separate toilet area Skylight in shower with fold up seat, CD Player, DVD player, 4pc walkie talkie, outside shower area, power awning, lots of outside and inside storage, tires in excellent condition, dual nightstand with built in radio alarm, tv in living room, rear hitch, 3 burner gas stove, full sized microwave, large capacity double door refrigerator and freezer with ice maker, cruise control, leveling jacks. No leaks. air conditioning, large automatic canopy. For any additional photos or information please call. 2005 Winnebago Adventurer 37B, Stock #170718 - This RV was SOLD on April 17. If you are in the market for a class a, look no further than this 2005 Adventurer 37B, just reduced to $33,500.  This Class A is located in Bloomington, Illinois and is in great condition. She is also equipped with a Chevrolet engine that has 29,831 miles (as of April 4). We are looking for people all over the country who share our love for boats/RVs. If you have a passion for our product and like the idea of working from home, please visit SellBoatsAndRVs [dot] com to learn more. Cabinets, Cooktop Cover, Dinette, Double Kitchen Sink, Exterior Kitchen, Microwave, Oven, Pantry, Refrigerator/freezer, Stove, CD Player, DVD Player, Entertainment Center, Exterior TV Source, Interior Lighting, Power Charging Center, Satellite Dish, Stereo System, TV (2), Air Conditioning, Bathroom Sink, Bed - Full/queen, Black Water Flush System, Ceiling Vents, Central Heat, Control Center, Dinette Sleeper, Leather Furniture, Medicine Cabinet, Recliner, Recliner - Stadium Style (Master Suite (2)), Shower, Skylight, Slide-out (3), Storage, Storage - Under Bed, Toilet, Vanity, Water Heater, Windows - Blinds, Windows- Day Night Shades, Water Filtration System, Clothes W/D Combo, 110 Lighting, AC Electrical Power, Backup Monitor, Batteries - Engine, Batteries - House, Battery Charger, Battery Charger - Solar (10-watt), City Water Hook Up, Electric Panel, Generator, Inverter, Power Seats, Solar Panels, Automatic Leveling Jacks, Automatic Steps, Awning, Awning - Patio, Driver's Door, Easy Slide Tray Storage, Entry Steps - Automatic, Exterior Shower, Exterior Speakers, Exterior Stereo, Exterior Storage, Leveling Jacks, Rock Guard, Roof Access Ladder, Back Up Camera, CO Detector, LPG Leak Detector, Rear Mud Flap, Running Lights, Security Lights, Smoke Detector, Spare Tire Kit, Chevrolet Chassis, Tile Floor, Combination Construction, Automatic Transmission, 2-Axle, Waste capacity: 51 gals, Gray water capacity: 58 gals, Width: 8' 6", Height: 11' 7" "++ Extremely Clean Adventurer -- LOW LOW MILES -- New Front Tires -- Many Extras ++"